I have been thinking about shutting down this site. Creating personal hompage is back in the 90\'s. Now it\'s facebook, friendster, myspace etc. 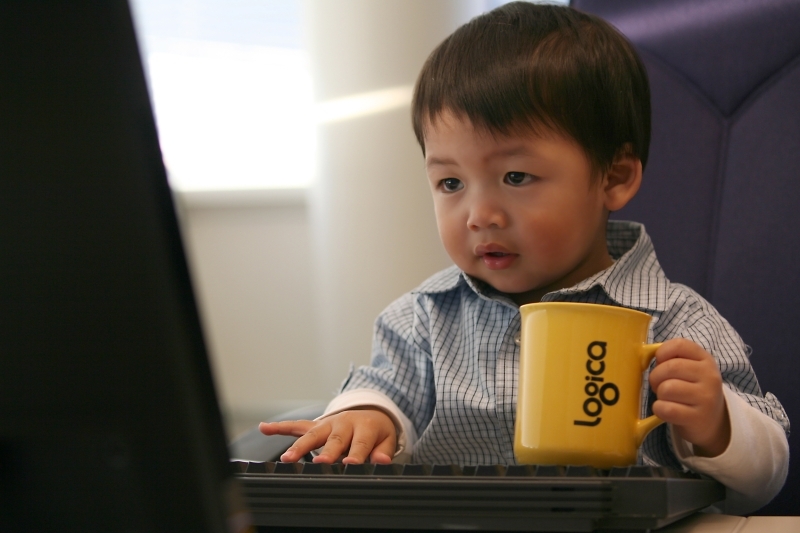 I entered this photo of Jordan in our internal photo competition in our company Logica. Everyone from our company can vote and I won the competition. 34% voted for my picture. The prize is the picture to be printet out in large format and framed. Displayed in our office and after a while be given to me. I don\'t win a lot, but I was really glad that I won this competition. Thanks to Jordan! Thanks also for all my co-worker that voted for my picture. Time does goes by fast! Jordan is now 2 years old. We just had a small celebration with family and some friends over at our place. Jordan was grumpy that day because he didnt sleep much at the barnehagen, but he seemed to enjoy his birthday with gifts and playing with the other kids. Some pictures are added in the Jordan album. We are also preparing ourselves for the next baby. We are back! We had a great vacation. Even Jordan had a great time. We managed to visit more places such as Pampanga, Calamba, Bulacan, Cavite, Tagaytay, Batangas, Mindoro, Lucena and of course Manila. We went to a lot of shopping malls, ate a lot of great food and visit our friends and relatives. One month was not enough. Pictures can be found in the Manila album. Just putted it there even though pictures are taken from different places. Now we are back in the real world and working again. Start saving again for next Philippines trip! We are enjoying our vacation here in the philippines. Went to batangas, mindoro and tagaytay. Shopping a lot, going swimming and visit our relatives. One month is not enough, so we are out every day. Jordan is also having a lot of fun. December is always a busy month. First we have our Year end thanksgiving with panata and preparations. We are also very busy at work with projects to finish and stuff to get done before year end. People are mostly stressed out and cause lots of traffic and crowded stores. I got shopping to do for new year, wedding anniversary and Ann\'s birthday. Pluss we are leaving for Philippines on January 2, 2009. We need to pack our stuff, buy pasalubongs and get supplies of stuff to keep Jordan from getting bored on the plane. Just got back from a trip to London. We attended a special gathering for the officers in our district. It was a nice and spiritual event. The program was also good and entertaining. We also managed of course to go shopping and some sightseeings. Pictures will be posted soon. Lately it has been very hot here in Oslo. Up to 34 C. It is not always this hot here so we took the advantage to go swimming. Of course we had to have food and barbeque. You\'ll see some of the pictures in Oslo album. 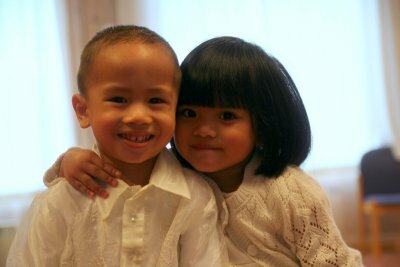 I just had to post this cute picture of Mikko and Chloe. We never know, maybe they will be a couple in the future. Then I can show them this picture. Today we said goodbye to one of our closest friend. The Paleracio Family. They have decided to try out the life in USA, Texas. Even though we are sad to see them go, we wish them all the best and prosperous life. We hope that they won\'t like it there and come back here in Oslo, but if they do decide to stay there, we only wish them all the happiness and we will surely miss them all. This past week has been great! We hang out with our friends and managed to do a lot. First we took the color magic cruise to Kiel Germany. Then went to Sommerland and enjoyed the hot summer weather, and friday night we saw Jason Mraz concert at Sentrum Scene. It was all great and really enjoyed this week. We had a lot of fun hanging out with our friends. Pictures can be seen at Kiel and Oslo album. Congratulations to Mr and Mrs Verula! Thanks for being part of your special day. It was a nice and fun wedding. You guys are meant for each other and we wish you all the best in life. Pictures from the wedding will be posted at the Oslo album. My albums has now passed the limit storage. Added new photos from Sportsfest and Mini golf in Oslo album, but had to delete a lot of old pictures. Having a lot of fun taking photos, and trying to build up experience by taking shots of any events. Just save the photos you like, but please send me a message or leave a comment at the message page. Need to have some feedbacks or any tips to take better shots. A sad day for us! This day was a sad day for us and our locale. 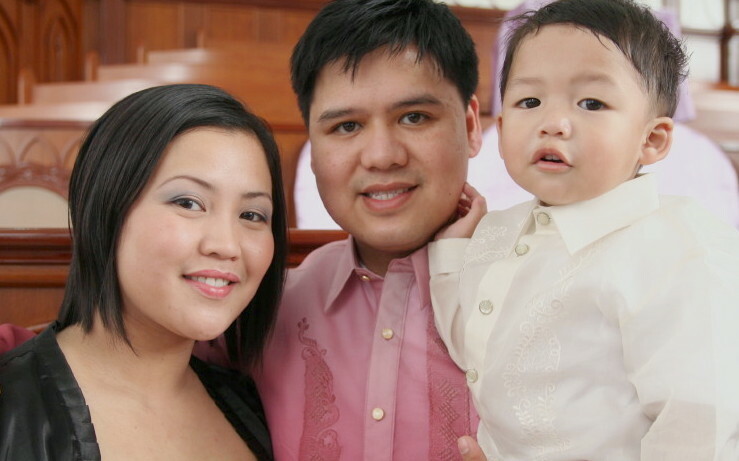 Our resident minister Bro Jun Macayan and his family are being reassigned back to California. We wish them all the best and thank you for all the great times and memories we had with them. We will never forget them and thank you ka Jun for all the things we have learned. Updated pictures in Oslo album. Pictures taken when we ate at Fridays at my birthday and some other events. Work and church as taken much of our times lately. Ann has also started working again. Jordan does not have any daycare center yet, so we need the grandma\'s help when Ann don\'t have the afternoon or night shift. Even though we just went to Barcelona for vacation a few weeks ago, we are already longing for another vacation. We had a four night vacation in Barcelona with the Paleracio family. We took the Barcelona tourist bus that went around the city, took a lot of pictures, ate a lot of good food and went shopping. We had a great vacation and it was really fun to have the Paleracio with us. Our rented apartment was at the La Rambla street, so the location was perfect. You can see the photos in the Barcelona album. Jordan got a lot of shoes on his birthday! A lot of cool ones and even Jordan shoes. They are really nice and Jordan was more smiling and laughing the day after his Party. He was feeling much better and was happy when he opened all his gifts. We celebrated Jordan\'s first birthday last Friday. The food and music was great. But Jordan was not feeling good. He was sick and that\'s why there are no smile from him that day. Which was too bad coz we wanted him to be happy on his day. Thanks to all who helped us with this party! We really do appreciate all the help you guys did. THANK YOU! Pictures from his birthday are in the Jordan album. My new hobby is taking photos. Email me if you want me to take photos of you. Also if you have any tips with camera settings, equipments or general photography pointers. I really want to learn and improve my pictures. Portrait pictures is what I like taking. Check out my pictures and leave your comments. Jordan\'s birthday coming up soon! Jordan is soon turning 1 year old, and these days we are getting ready for his first birthday party. A lot of things to prepare and of course a lot of time consuming. We are thankful for this blessing and happy that our son is getting older. We wish to celebrate this and treasure this special event with for our son. I have separated the old news to another page.